Yesterday I shared with you a recap of our recent trip to the Big Island, Hawaii. We took lots of amazing hikes, saw some spectacular views, and ate lots and lots of great, local food – Plate lunches, loco moco, poke, and this, Macadamia Nut Hummus. Although I wish that I could recreate each and every dish from that meal and bring it back home, unfortunately our lack of access to those amazing local ingredients makes it tough. I did, however, feel confident that I could master that Macadamia Nut Hummus and make it part of our regular rotation, even back in rainy Oregon. 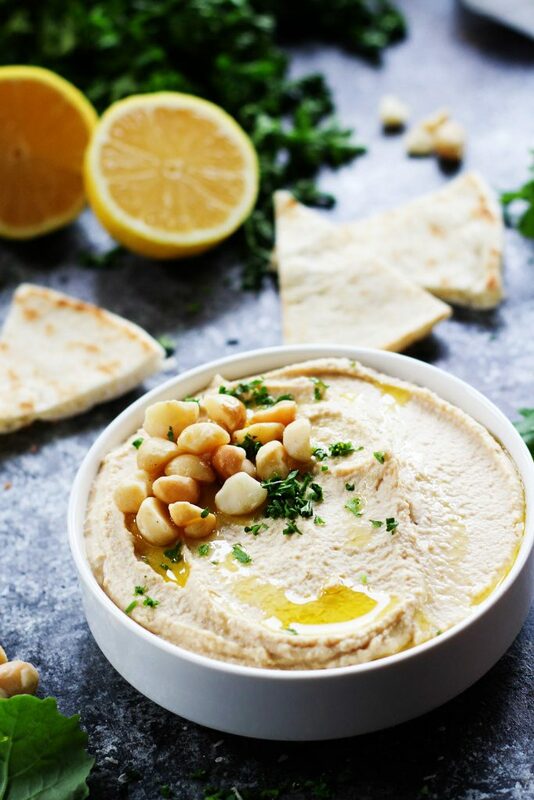 This hummus tastes very similar to traditional Greek hummus, but it’s got just a hint of a little something extra. It’s still got the zesty garlic, bright lemon juice, and the creamy chickpeas. But, the macadamia nuts give it an extra depth of flavor and a slightly sweet taste. For photography purposes, I sprinkled a bit of chopped up macadamia nuts on top of the hummus, but if you’d prefer your hummus creamy (as I do), I would just leave them off – You’ll still have plenty of that rich, nutty flavor in there. I promise, if you fix a Mai Tai, pull up some ukelele music on Spotify, and crank the heat up to 78 degrees, you’ll be close to feeling like you’re in Hawaii even in the dead of winter. 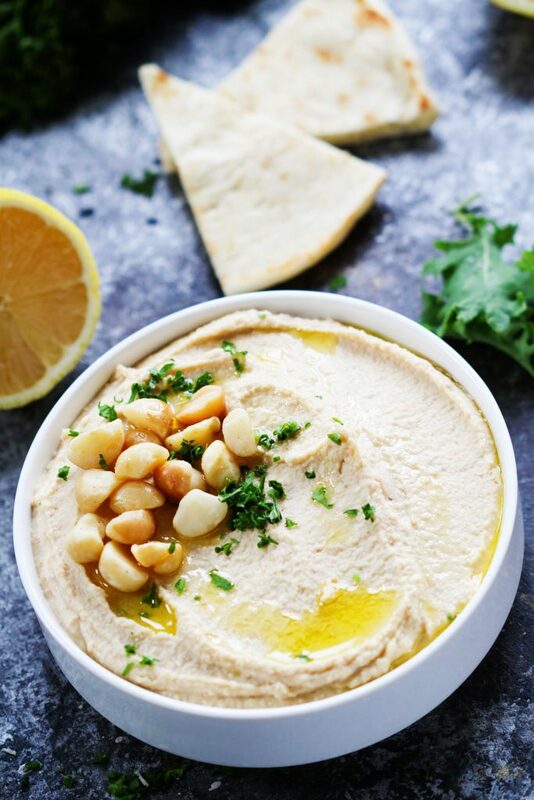 It’s definitely worth a try… Or, at least this Macadamia Nut Hummus is. Turn on the blender and toss in the garlic through the lid. Process until minced. Try a Sauvignon Blanc or Rosé (here are some great ones under $10) with this creamy dip. Both wines have a bright acidity that will play nicely with the nutty, oily hummus. Looking for more Hummus recipes? Try this Harissa Hummus too! Ooh I love macadamia nuts and this sounds like a really wonderful alternative to chickpeas! Nice! Thanks Marlynn – The macadamia nuts just give it a ‘lil something extra! Hummus & macadamia nuts are two of my favorite things. I can’t wait to try this! 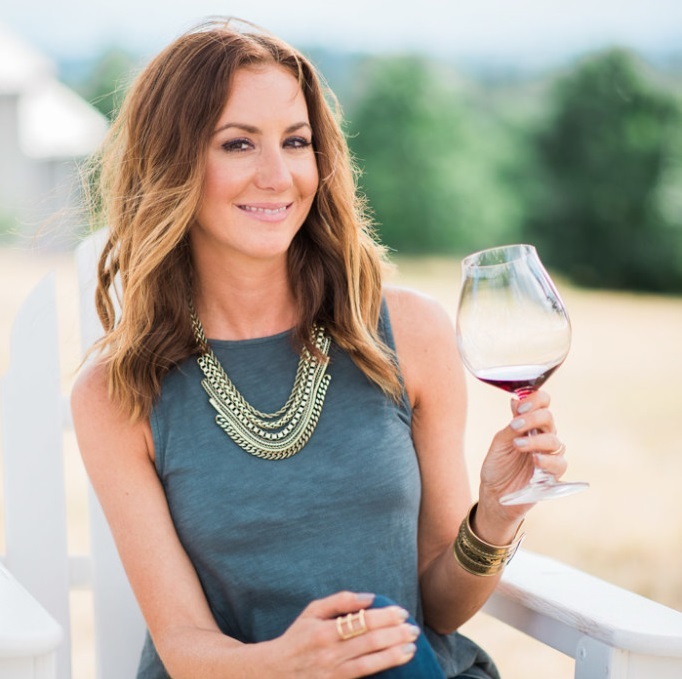 I hope you enjoy Renee – Cheers! This hummus sounds great! I love Macadamia nuts, but I have only had them in cookies! 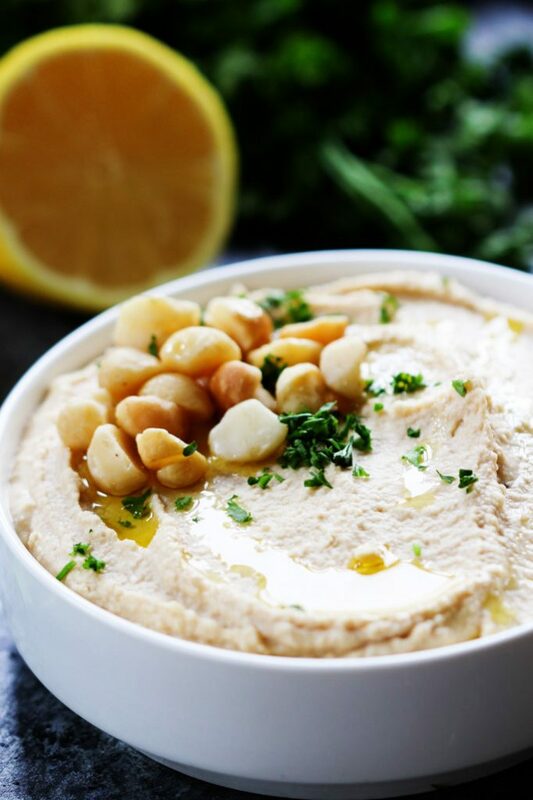 What a great combo – I never would have thought to pair hummus with macadamia nut! I would never have imagined this combination either Christine – Thankfully our Hawaii vacation introduced it to us!